This is not another "How-To install GApps on FireTV Thread"
and finally Disabling / Using Amazon's own Blacklist against the various components of the Stock FireTV system that you want disabled. 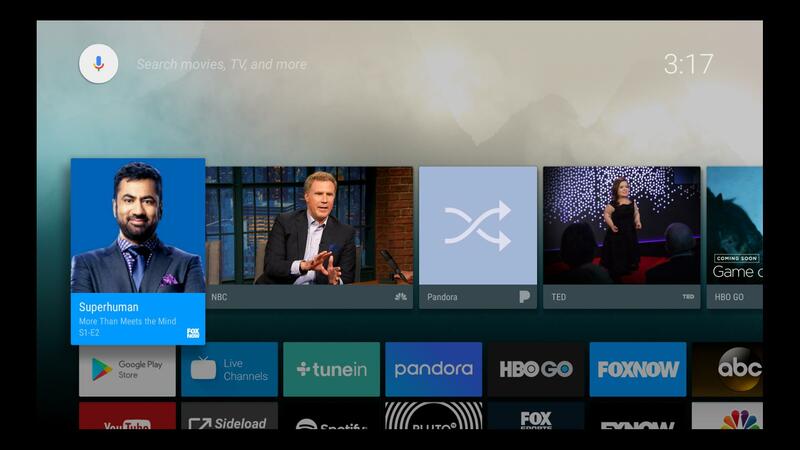 Confirmed working: on FireTV-v1 & FireStick-v1 & FireTV-v2, expected to work on FireStick-v2 once there is root. As should be expected with such major modifications to basically every aspect of the FireTV System, this is 100% IMPOSSIBLE WITHOUT ROOT + XPOSED + BUILD.PROP MODIFICATIONS + SYSTEM PARTITION CHANGES + PATIENCE AND CAREFUL READING OF ALL INSTRUCTIONS. This Mod is not called "Playing with Fire" for no reason, your literally holding your FireTV's life in your hands, if you don't pay attention YOU WILL GET BURNED! Therefore if anyone asks stupid questions like "can I haz Leanfire TV on my Stick now plz?" you will be laughed at and ignored if not worse. Step One: Required Files - Download the following files. For some of these I will have listed two versions (ARM) and (ARM64) so make sure you pick the version that's appropriate for the architecture of your CPU. FireTV-v1 (ARM) & FireTV-v2 (ARM64). Additionally as my FireTV is running the latest release v5.4.2.1 I am using API22 binaries in this guide. Everything "should" still work if your running an older release, but you will need to get the API21 binaries if still on Lollipop 5.0. If you don't know what architecture / api level your FireTV is I suggest you do some research, as if you don't know that type of basic information, things can end up quite badly for your FireTV. Obsolete: Use ONLY for Manual Installation as of "v4_LazyLeanback" Contains my PlayFire-TvSettings.apk (modified from Peleg's AFTV2ATV Project) along with the other necessary "universal" files that will be pushed into your system partition. Busybox-(Meefik) - This is my personal preference for Busybox installers, but you can use whichever installer you like. I have also included the TWRP Flashable ZIP which was generated from within the installed APK. Either version will work just fine, so pick whichever you find easier to install. MAKE SURE YOU USE THIS SuperSU v2.82-20170528234214 and NOT THE CCMT version. One of the recent SuperSU-CCMT releases had a bug that resulted in device crashes and loosing root access when updating the binary. Also as this SuperSU is a Chainfire release, it's signed with a different key than the "official" CCMT versions so it will not show up in Play Store updates once everything has been installed. You can still flash the latest CCMT in TWRP at a later date if you want but it's not going to update automatically if installed using the Chainfire release posted above. Note: As OpenGApps is built fresh every day it's possible a future update may break something. If you have issues with the current release, then go ahead and download the Old "Known Good" release posted below. You can always upgrade GApps by re-running the ZIP installer with a later build that hopefully fixes your issue. Step Two: Running the "LazyLeanback" Installation Scripts - New improvements as of "v4_LazyLeanback" are the Installation Scripts themselves as well as a brand new "addon.d" Updater script which allows ROM flashing without damaging the MOD installation, even through software upgrades. Both improvements are included in the "PlayFire" archive attached to this post. I have also removed the gapps-config.txt & Xposed Edge Config from the "PlayFire" archive so I can customize it for a different needs I've seen mentioned, now one version defaults to Leanback Launcher, and the other version Defaults to the Stock Amazon Launcher, you can pick whichever you'd like. WARNING: While I did test all of this on my own system, and was successfully able to use the scripts to install everything from this MOD's guide AND THEN FLASH THE LATEST RBOX r2 RELEASE WITHOUT NEEDING TO RERUN ANY MOD CONFIGURATION, the LAZYLEANBACK SCRIPTS should STILL BE CONSIDERED "ALPHA-RELEASE" SOFTWARE AND SHOULD NOT (YET) BE FULLY TRUSTED OR RUN BY THOSE WHO DO NOT AT LEAST KNOW THE BASICS ON HOW TO RECOVER FROM UNEXPECTED ERRORS WHEN INSTALLING MODIFICATIONS. Also even if my scripts do work on getting everything installed quickly, they are definitely quite "ugly" (you might see some errors or other weirdness when running them) but they DO work, just ignore the minor errors that may pop up. It will be ironed out once I get a chance to get back to this. You have been warned and I am (still) in no way responsible for any bricks that may occur from improper use of these instructions or badly written scripts. 4) Connect to your device's ADB terminal and run the following commands. NOTE: You MUST Install the Busybox.apk then open the app and install the Busybox Binary BEFORE YOU RUN the LazyLeanback Scripts, or everything may APPEAR TO INSTALL OK, BUT YOU WILL BE MISSING A CRITICAL step that allows OpenGApps TV-Stock to fully install all required libraries properly. 7) Go into Xposed and enable Xposed Edge, Then reboot (again) and go into Xposed Edge and Enable "Keys"
8) YOU ARE DONE, ENJOY!. After all this you can finally go ahead and log into the Google Play TV (Leanback) Store, should have button mapping configured and can start my Blacklisting procedure. However please note that the TV-Stock GApps package is quite large even when many of the useless packages are being ignored via my custom "gapps-config.txt" file which directs the GApps installer and tells it specifically what to install and what to ignore[/B]. For example on my FireTV-v1 after doing a total wipe of System, Data, Internal, Dalvik/Cache, then reinstalling RBox's Prerooted Rom, I only had about 140MB of free space in my /system partition. That's why I have left my gapps-config.txt file in the "Test" mode, so you can attempt to run the TV-Stock installer without it actually writing any files (yet) so you know if you will have enough space in your system partition. NOTE: As my custom gapps-config.txt comes with the TEST option set, you must modify this file with the "sed" command below (or manually edit the file by commenting out the #TEST line) for TV-Stock Installer to actually run in “real-mode” and not "test-mode". Now go ahead and do a test-run of the TV-Stock installer. If it finishes without throwing “Error Code: 70 = insufficient storage” your good-to-go for the real-install once you comment out the TEST option. IF you DO get Error Code: 70 run the following line in terminal to view the TV-Stock Installer Logs and Determine what you want to do to free up some space. If you don't get any errors run the Completed Without Errors line. HOWEVER EVEN IF YOU GET NO ERROR CODES ON THE TV-STOCK TEST RUN YOU MUST STILL CHECK THE LOGS TO CONFIRM YOUR FIRETV WAS DETECTED AS “TV” AND NOT “PHONE”. IF YOU DO NOT CHECK THIS, AND YOU HAVE NOT PROPERLY MODIFIED YOUR BUILD.PROP TV-STOCK WILL DETECT A “PHONE INSTALL” AND WILL NOT INSTALL ALL NECESSARY LIBRARIES FOR THE ANDROID-TV (LEANBACK) FUNCTIONS TO WORK! And at long last, with all these steps completed you should get TV-Stock to install successfully! 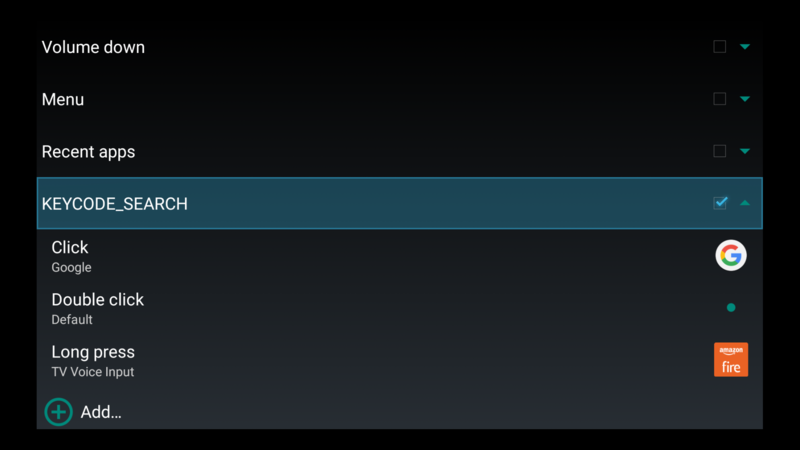 These settings along with all other custom button mappings can be edited within the Xposed Edge application. Please see the excellent guide @Y314K has put together (with detailed pictures) for some tips on how to configure more advanced features of this module. You also must ENABLE the "Xposed Edge" module within Xposed AND THEN ENABLE "Keys" from within the main Xposed Edge settings menu before all these configuration options will take effect. Please see Y314K's guide listed above for specific instructions on how to enable the REQUIRED "Keys" setting within Xposed Edge so that the button remapping gets activated. Leanback Launcher Auto-Start: In order for Leanback Launcher to start automatically upon boot of the system you MUST first disable the default FireTV Launcher "com.amazon.tv.launcher". You can run "pm disable com.amazon.tv.launcher" or follow the steps from post #2 in this thread about how I configure the Amazon Blacklist. Once Xposed Edge is enabled, you can still run the default Launcher (even when it's frozen) through the on-screen menu. Enabling Xposed Modules without a mouse: I highly recommend Vysor it's most importantly free, and it connects to your device through ADB and mirrors your device display on your computer and therefore allows you to use the mouse on your computer to manipulate your device, and click those check boxes. Chromecast Receiver: Is problematic for a few reasons, A) is at least on my FireTV-v1 there's not enough space in the /system partition to install it as a system app, so I have installed it as a user-app through the Play Store once everything else is working. Issue B) is that NO ONE (at least from the research i've been doing into this) has yet figured out how to properly spoof the proper Google Identification check that the Chromecast Receiver is doing before allowing you to Cast to a TV Box. Over at FreakTab another developer listed the problem as "Cast service can't get a Cast device cert through ClientAuthSigner" but this is something I am also going to try and look into and would very much like to get working, so definitely a work in progress even if I don't really know how feasible it is to expect this functional anytime soon. Google Voice Search: Google Search on the other hand is semi-working and my custom Xposed Edge configuration already contains a button remap of the Search button to the Google Search app instead of the default Amazon Voice Interface. The text-based search part of this works flawlessly, but I seem to run into an issue when trying to actually use the Voice control part at which point the app throws an error about "Not able to connect to Google at this time". I am also working on trying to figure this out, but it's exponentially more likely to be working in the near future than the Chromecast Receiver functions. A combination of technical, legal and logistical problems. This mod should work on all FireTV devices (I think, confirmation on AFTV1 + Stick1, still waiting on FireTV2 + Stick2) but I only have a FireTV-v1, my TWRP image would most likely brick any other type of FireTV device. There are also legal / licensing issues to contend with, particularly concerning the OpenGApps packages, but also the modified copy of "PlayFire-TvSettings.apk" (which I had to ask @peleg for permission to distribute which he kindly agreed to), and also the Xposed Edge + Custom Config (which I have PM'd @jozein about but have not gotten a reply yet) among others. Even something as ubiquitous as SuperSU is not a open source package, you must get permission from Chainfire / CCMT before you may include it in a Custom ROM. The way this MOD is currently setup I am only directly distributing the minimal amount of files I need to, everything else is being obtained by the end-user through the official channels and in the way the package owners have specified. @talltree for being the first person brave enough to try this out on any device, and for his patience in helping me discover and fix a few initial flaws that were in the guide. Blacklist Configuration: There are many ways in which you can disable the parts of the Stock AmazonTV system you do not want to have running, but I believe my new method is far superior as it uses Amazon's own blacklist technology against itself (which I just find incredibly funny) AND by disabling the components in this manner, every single time you reboot the system, the components will automatically get re-disabled if you happened to enable some function for whatever reason. Amazon has the potential to use two different systems to "blacklist" certain things. These are "com.amazon.tv.nimh" (Not in my House) and the "com.amazon.tv.settings.tv.AppDisableService" which is currently being used to explictly block (and "soft-disable") the following applications: FiredTV-Launcher, FireStarter, and OnbootKodi. Both blacklisters are explained in depth over at AFTVNews (http://www.aftvnews.com/tag/blacklist/). If you have followed my entire guide to this point the first blacklist I mentioned "com.amazon.tv.nimh" (Not in my House) has already been totally deleted from your system partition during the OpenGApps TV-Stock installation. I explicitly call this library out in my custom gapps-config.txt file and instruct the TV-Stock installer to delete all it's files. I do this because A) no one knows exactly what this component is capable of once Amazon decides to enable it's functions, and B) It currently has zero negative effect on a running FireTV system, so I fully remove it to prevent any future issues it may cause once Amazon decides to enable it's unknown functions. The next blacklist included with Stock FireTV systems is the "com.amazon.tv.settings.tv.AppDisableService" which quite simply is a text database listing certain packages Amazon has decided it does not like, and these packages are forcibly "frozen" (aka "soft-disabled") upon boot of the system. Over at AFTVNews they already have great instructions on how to totally disable this functionality and re-enable the blocked apps, but I am going to show you how to use Amazon's AppDisableService to disable Amazon system components instead of the Apps Amazon does not like. This way instead of totally stopping AppDisableService, we remove the Amazon specified apps, and add in Amazon System components that will then automatically be frozen upon boot of the system. To do this you need to launch the Amazon Settings On-Screen Menu I have included in my Xposed Edge configuration. To access this 1) Hold the Home Button until the On-Screen Menu Appears, 2) Navigate one space to the right, and then one space down in the On-Screen Grid, this will be a box with a bunch of Amazon System apps in it. Once you select the AmazonApps square, navigate to the bottom right most square, and this will launch the Internal Amazon Settings Debug Menu. 3) You want the select the option that is a orange square with the "Amazon Fire" text in white. I strongly suggest you use this Auto-PackageDisable feature to "soft-disable" the default AmazonFireTV Launcher "KFTV" so that the system will automatically boot into the Leanback Launcher. You can also disable any other Amazon System package, in my following example I also disable the blacklist technologies, KFTV Launcher, and Vizzini (Amazon's Voice Interface so that the Google Voice Interface can take over). My own "blacklist" includes the following, but you do not need to include everything I do, and can add additional packages I do not. My blacklist kills the Amazon OTA service, Amazon "Sale Service" which blocks the Leanback Launcher recommendations, and Amazon Voice Search among others. NOTE: The beginning of the commands is actually an important indicator of "where" your supposed to be inputting the commands. ~$ = the shell or command prompt on YOUR computer. With FireTV Utility you may need to type "exit" to get back to a "computer shell"
root@firetv:/ # = Notice how the last part in red changed from $ --> # this is the difference between a normal user shell and a "root shell"
EDIT: @stangri has provided some terminal commands that expertly accomplish the necessary build.prop modifications without needing to follow my old instructions to pull the file off the device, edit it and then push it back to the filesystem. Thanks to this contribution we can now edit build.prop with the following commands, BUT YOU MUST HAVE BUSYBOX INSTALLED FOR THESE COMMANDS TO WORK. First off make sure your device is powered on and connected to your network and has ADB debugging enabled. EDIT: This is the OLD BUILD.PROP METHOD. You can use this but it will be much easier to use the "sed" commands above. There are a few different ways this step can be done so do whatever is easier for you. As my FireTV-v1 has a built-in Ethernet port + USB port I find it convenient to connect via ethernet, use the USB keyboard to enter recovery and then ADB into recovery and edit the build prop with the command-line text editor "vi". However only the FireTV-v1 makes doing it that way easy, and anyone who knows how to use vi can probably figure this part out on their own without any further instructions. For the rest of you on FireTV-v2 or FireTV-Sticks here's probably the easiest way for you to complete this step. First make sure your device is powered on and connected to your wifi network with ADB Debugging enabled. ~$ adb connect "YOUR IP"
If you get to a terminal prompt great, now type "exit". Now type "adb pull /system/build.prop/ ~/" this command should grab a copy of your build.prop and place it in your user's home directory. Now you need to edit the file using a good text editor (NOT Microsoft Word / WordPad / Any other "fancy" program that will add additional formatting, and wind up destroying the file). If on Windows I recommend NotePad++, if on any other operating system, you should be fine with the default text editor. NOTE: The first two lines are towards the top of of your build.prop file, while the last two lines should be the VERY BOTTOM. Also the first two lines already exist in the file and need to be modified, while the last two lines DO NOT already exist in your build.prop, you need to add them as the very last two lines. Unfortunately each device's build.prop contains completely different information, and this can even change within the same device between different software versions, so I cannot post an example for this one, as it would be useless and dangerous if someone tried to use it on the wrong device / software version. But this modification is necessary, the "top" edits give the TV-Stock installer the correct information to know this is a TV Device (otherwise it will detect the FireTV as a "Phone" and skip installing some necessary libraries, while the bottom two lines allow the device to register correctly with the Play Store and prevents the issue a lot of us were having with updates to Google Play breaking things. If you get to the "FireTV" terminal prompt great, now type "exit" and proceed to the next set of commands. If you dont get to the "FireTV" terminal you need to double check you have ADB debugging enabled and your device is in fact connected to the appropriate network. Manual Installation - (Part Two): Putting it all together - You should now have XposedInstaller.apk, XposedFramework.zip, HDXPosed-1.3.apk, SuperSU.zip, PlayFire.tar.gz, Busybox.apk or Busybox.zip TV-Stock.zip and TV-Stock.zip.md5 and a modified build.prop ready to go. Next you need to move all these files onto your device, and I am going to use the root of /sdcard/ and the /sdcard/PlayFire/ directory as defaults. You can use something else, but you will need to modify the following commands. Get your device up and running and load all the files you have downloaded into the root of your /sdcard/ partition. Once everything is on the root of your /sdcard/ run the following commands, and note that everything on a single line should be copy/pasted as one command. If running these commands from TWRP recovery, everything will already work as TWRP comes with busybox. If running this connected to adb on a running FireTV system you must install busybox prior to running these commands. Install the ZIP through TWRP then boot into the system or use the APK to install busybox into your /system partition. Manual Installation - (Step Three): The Final Piece of the Puzzle - So the MAIN things that had been messing up installing TV-Stock GApps on FireTV or anything else for that matter is A) No one was editing the /system/etc/permissions files appropriately and B) that the OpenGApps TV-Stock installer includes a broken copy of NoTouchAuth which wont allow you to register with Google Play Services. In one of the above commands we installed a copy of NoTouchAuth I pulled from a Official AndroidTV box (so it actually works) and once you have completed the next steps and reboot, you will be able to log into Google Play without issue. Also at this point we have replaced the stock system build.prop with the modified one to allow a proper TV-Stock installation, and allow for proper authentication with Google Play Services, installed the modified copy of peleg's TvSettings.apk (ATV Settings Widget/Menu) which now does not require signature spoofing due to my removal of the "com.android.shared.uid" value from the Android Manifest, disabled Wifi-Direct broadcasting, and installed XposedInstaller.apk + HDXPosed.apk, along with the ESSENTIAL Xposed Module "Xposed Edge" which is what will allow us to remap Buttons / Keycodes & provides the Running App List + Task Switcher + an unbelievable amount of other useful features and ability to customize just about anything. So now that all that has been done the last step is to reboot into TWRP recovery (however that is done on your device) and install the final ZIP files of updated SuperSU v2.82, Xposed Framework v87, and finally OpenGApps TV-Stock itself. 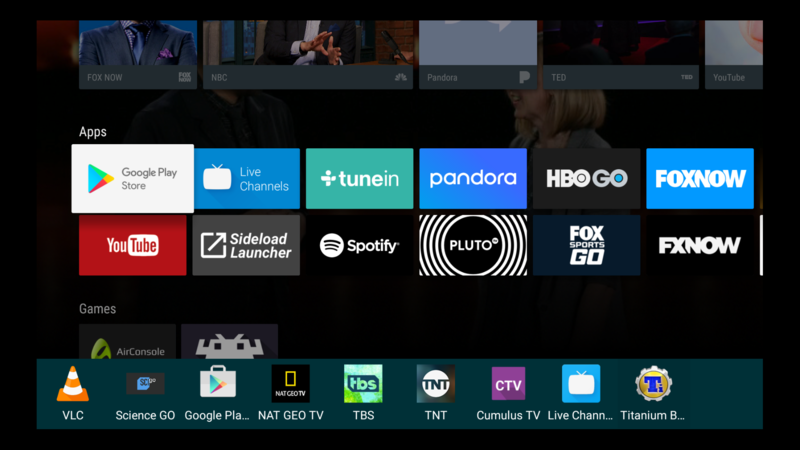 EDIT: Due to issues with OpenGApps TV-Stock overwriting NoTouchAuth during installation, you must run the following AFTER finishing the TV-Stock installation to avoid the "spinning circle of doom" issue, which will prevent Google Play login. After running the commands below REBOOT and you should be able to login to Google Play without further problems. I am currently in the process of investigating whether it may be possible to write an "Updater Script" that functions as the OpenGApps Updater scripts do, which would allow users to seamlessly flash the latest rbox prerooted ROM releases while keeping all these MOD changes in tact through the upgrade process. I have just starting looking into this, so have no estimate for when or if It might be completed. I MAY also attempt to investigate the possibility of creating an "all-in-one" Update.zip package which would be flashed through TWRP and preform as many of the steps of this MOD as possible. In any case DO NOT THINK THIS WILL BE A "FULL" CUSTOM ROM, It will only be exactly what is currently discussed in this thread, It will not at any time include the rbox ROM, OpenGApps installers or any other modules not currently already included within my "PlayFire.tar.gz" archive. I have not even started looking into the first steps of how this may or may not be possible, just something I have in the back of my mind as a possible continuation of this MOD and my learning process. Do NOT ask me when this might be completed, as I have not even begun the most basic of firsts steps, again just something I may consider trying to do at a later date. If you want this MOD installed anytime soon, your going to need to follow current procedure outlined in this guide for the time being. Custom Compiled OpenGApps TV-Stock Installers: Again, this is something I MAY attempt to do at a MUCH LATER DATE, and only AFTER I have created both the Updater Script and the Update.zip package. 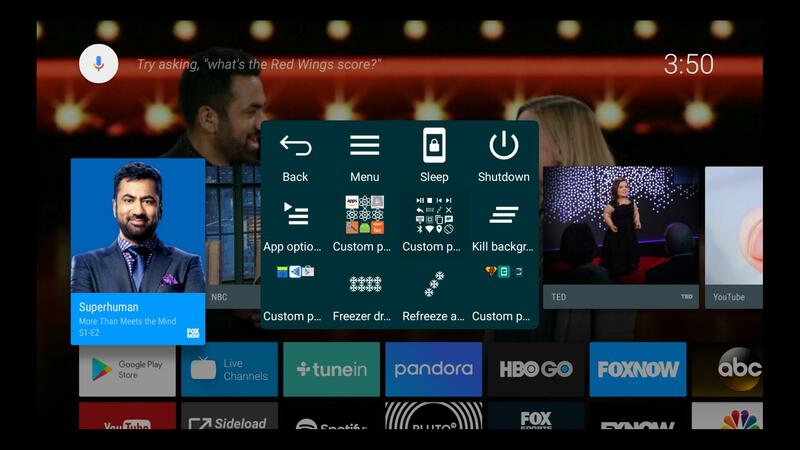 As there are numerous issues with the OpenGApps built TV-Stock I may try to build the installer from source myself and resolve as many issues as they relate to the FireTV as possible. Again, do NOT ask me when this will be ready, as I honestly have no clue, but again is something I am considering if there is enough interest shown and/or more serious problems with the current OpenGApps TV-Stock installers become apparent. If i'm not wrong on AFTV2 its uses for connection of the remote. So disabling may be very dangerous. Don't know if remote can connect without broadcasting. @peleg correct me if i wrong. Didn't work for me but it looks like it extracts the files to /data/app instead so I cchanged that part. Also I couldn't find anywhere you said to use the HDXPosed-1.3.apk so I activated it in xposed anyway just in case. Another thing, you mentioned that you had a TEST line in the google gapps-config.txt, the one I downloaded had it commented out with a #. So the problem I am having that after activating Xposed Edge and enabling the keys(took me a while to figure out I had to long press to do it) the keys don't seem to activate from what you preset. I did find leanback by going to the Xposed Edge button key configuration and using the activites option. But it seems when I visted lean back there is no data to display. A biger problem, the Google play store just gets stuck on its background with a blue cirlce spinning. Any idea what would cause those to go wrong? While in leanback I went to settings and tried to add a google account but that screen comes up blank. Thanks a million for your help. UPDATE: I went back and imputed the commands again looks like the settings are working now. Is it possible that flashshing the TV-Stock after everything overwrote some of the files or settings? Seems to be working okay now. Update 2: It seems I ran into some more issues. When I restart the button mappings go away. Also I tried to install some apps from the play store but they get stuck on pending installation. Any help appreciated. Hi talltree, first off thanks for essentially being the brave soul to "beta test" this for me! Also thanks for pointing out the issue with the Xposed Edge command, tuns out I did mess that one up a bit, mixed up the permissions / group ownership and some directories. That "should" fix your Xposed Edge mapping issues (I hope), but let me know so I can try and revise the commands again if not. However you previously said that the original command only extracted files to /data/app, but the "tar -xzvpf" command should extract files to both /data/app & /data/data (/data/app is the actual APK installed into your system, and /data/data/ holds my custom configurations for Xposed Edge). So if my prior mangled command was only dropping files into /data/app, that might have been part of your problem. As for the Google Play "Spinning Circle of Doom" issue, thats has previously been the bane of my existence (and through way too much trial and error I discovered it was generally due to the faulty NoTouchAuth installed by the OpenGApps TV-Stock installers for all platforms). As you also noticed my gapps-config.txt files did not have Test commented out (accidentally), as this was a modified version in which I attempted to prevent OpenGApps TV-Stock from overwriting my working "TV-NoTouchGsf.apk" which is "NoTouchAuthentication". However as I preformed all these commands from within TWRP (after installing TV-Stock) it's possible running them on a live system BEFORE installing TV-Stock may change some minor things. If you continue having issues either initially registering with Google Play ("Spinning Circle of Doom") or have issues with Google Play actually installing Applications, please try to reinstall my attached working copy of NoTouchAuth (TV-NoTouchGsf.apk) with the following commands and again please let me know if this fixes your issues. After fixing both these items, reboot and let me know if that squashes the bug. Also please keep an eye on this thread, the RESERVED post is going to be updated shortly (tomorrow most likely) with the final bits of this guide including the full instructions for configuring Xposed Edge and (my favorite part of guide) using Amazon's own Blacklist technology against the Amazon System itself. For now I just wanted to get the initial steps of the guide posted and make sure it worked (kinda) before moving on to the next steps. Finally if you dont mind can you please attach a copy of your open_gapps_logs.txt file and let me know which model (AFTV1, AFTV2, AFTV-Stick) you've run my MOD on, along with the output from the following command so I can get a sense of the free space in /system on other devices (if you dont have a FireTV-v1 like myself). Wow , really love your work and how you take it forward. Your guide is accurate and detailed. Let me know if you need some help regarding to tvsetting.apk or you if you like to get its source code. This post can be officially continues to AFTV2ATV project! And much more . Next step can be to make a recovery zip file of all those installations for noobies that would like to experience the mod without involving all those configurations. As far as I know it shouldn't affect the remore operation , it migth cause issues to wifi broadcasting services like google cast. Fantastic work. I hope to apply this to an AFTV-Stick once the snags get smoothed over. Glad to help, the project is really cool. I have a firetv1 5.4.2.1. Yeah sorry just the data/data files did extract correctly just was the data/app folder that was off. I ran the commands and rebooted, I still cannot install anything from play store it just gets stuck on "Install Pending." Any suggestions for this? As for the button mapping. Strangely when I rebooted the first time that mappings worked but then I rebooted again to see if they would stay and it went back to default amazon mappings which is what I was experiencing before. Anything else you want me too look at? Axecaster, thanks for the interest, but if you want to help get this moving along for the FireTV-Sticks I need you to get me some information. I might ask some "obvious" questions, but want to double-check any of my assumptions are correct. 2) What version of the RBox ROM are you running? 3) Have you previously installed Google Play anything into your System Partition? (Need to know this so I know if the next command is of a "fresh" system, or one that already has some space taken up by other applications outside of the Stock AmazonTV stuff. 4) Need you to run the following commands and please attach the output##.txt files (trying to avoid this thread becoming a giant wall of debug info, these are the same type of commands I had talltree run, just stuffing the output into a txt file for connivence for me). Anything else you want me too look at? Thanks again for helping me out with this! Not sure what's causing your issues but would like to see the same info Im asking for from Axecastor so I can compare the output to my own (working) system and try to figure out how to resolve your issues. Please run the following and attach the resulting output so I can analyze it. 3) No Google Play attempts yet for this specific install/stick. Xposed framework is already flashed and a few modules installed to access and update the built-in supersu binary. Things to do with a rooted fire tv! !